Looking for deals in Frankfurt? Featuring a 24-hour front desk, a terrace and a bar, the Motel One Frankfurt Messe is conveniently located just over a quarter mile from the Frankfurt Messe (fairgrounds). Truly worth paying for. I love being stay away from my home.i really appreciate and very kind,helpful staff named Christina Wagner.she really did a good job on helping me to see also the city. This elegant hotel welcomes you with luxurious interior design, modern cuisine and holistic relaxation. 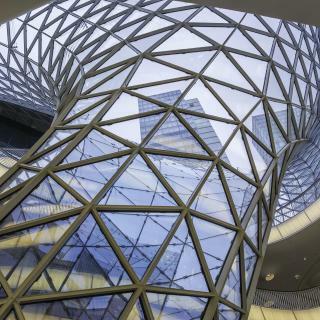 It lies right in the heart of Frankfurt, only steps away from the Zeil major shopping street. The staff was very friendly. The breakfast was great! Located in the Niederrad district of Frankfurt, Kleine Villa Frankfurt is 2.3 miles from Städel Museum and 2.7 miles from German Film Museum. Comfortable and quiet room. Friendly and helpful staff. Excellent location, close to airport and easy access to city center using public transportation. We would definitely stay again. Featuring a terrace, and fitness facilities, Moxy Frankfurt Airport is located in Frankfurt/Main, 5 mi from Fair Frankfurt. Built in 2017, the property is within 3.1 mi of Commerzbank-Arena. Private car park with lift. My package included car park and breakfast. Close to airport. This 4-star contemporary INNSIDE by Melia Frankfurt Ostend hotel is located 886 feet away from the Frankfurt Ostbahnhof Station. It was really nice! We stayed there for one night and it was just perfect. Featuring free WiFi, a fitness center and a terrace, Holiday Inn Frankfurt Airport offers accommodations, a 10-minute walk from Terminal 2. Guests can enjoy the on-site restaurant. Breakfast service and restaurant was overall great. Room was comfortable and easy to manage. 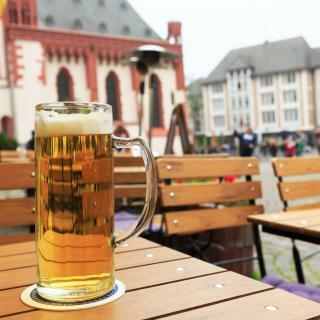 Located in the Ostend district of Frankfurt am Main, MOXY Frankfurt East offers nonsmoking rooms, parking facilities, free WiFi, a fitness center, and a garden. Very friendly and accommodating staff, even when Booking. Located next to the City Forest in Frankfurt, this hotel is just 2.5 mi from the Frankfurter Messe Trade Fair. It provides modern rooms with a private balcony, a gym, and an international restaurant. Helpfulness of staff. Great breakfast buffet. Just a 2-minute walk from Frankfurt Train Station, this hotel offers classic-style rooms, free Wi-Fi internet, and rich breakfast buffets. 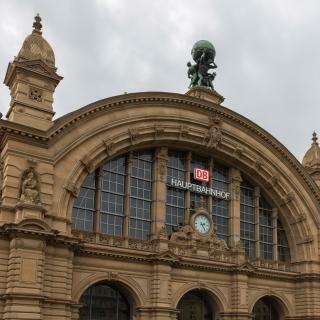 Very close to the main train station and reasonably priced. Featuring elegant modern interiors and free WiFi access throughout, Holiday Inn Frankfurt - Alte Oper is located in Frankfurt am Main. The hotel in very well located in the downtown of Frankfurt. Very professional staff. This Lindner Hotel is in Frankfurt’s Sachsenhausen district, south of the River Main. Features include a 1476 ft² spa area and large rooms with a seating area and city views. Great location by the river. Wonderful pool and gym. Room service was fast. How much does it cost to stay in a hotel in Frankfurt? On average, 3-star hotels in Frankfurt cost $90 per night, and 4-star hotels in Frankfurt are $128 per night. If you're looking for something really special, a 5-star hotel in Frankfurt can be found for $227 per night, on average (based on Booking.com prices). What are the best hotels in Frankfurt near Commerzbank Arena? Some of the best hotels in Frankfurt near Commerzbank Arena include Kleine Villa Frankfurt, Lindner Hotel & Sports Academy and Hotel Niederrad. Which hotels in Frankfurt offer an especially good breakfast? For hotels in Frankfurt that serve highly-rated breakfasts, try Rocco Forte Villa Kennedy, Jumeirah Frankfurt, and Naam Hotel & Apartment Frankfurt City-Messe Airport. Which hotels are the best ones to stay at in Frankfurt? Jumeirah Frankfurt, Capri by Fraser, Frankfurt, and Motel One Frankfurt Messe are some of the popular hotels in Frankfurt. What are the best hotels in Frankfurt near Frankfurt Airport? Travelers who stayed in Frankfurt near Frankfurt Airport (FRA) have said good things about Sheraton Frankfurt Airport Hotel & Conference Center, Hilton Frankfurt Airport, and Hilton Garden Inn Frankfurt Airport. How much is a hotel in Frankfurt for tonight? On average, it costs $89 per night to book a 3-star hotel in Frankfurt for tonight. You'll pay around $127 if you choose to stay in a 4-star hotel tonight, while a 5-star hotel in Frankfurt will cost around $255, on average (based on Booking.com prices). How much is a hotel in Frankfurt for this weekend? The average price per night for a 3-star hotel in Frankfurt this weekend is $153 or, for a 4-star hotel, $196. Looking for something even fancier? 5-star hotels in Frankfurt for this weekend cost around $402 per night, on average (based on Booking.com prices). Which hotels in Frankfurt have nice views? niu Charly, Jumeirah Frankfurt, and Rocco Forte Villa Kennedy got great room view-related reviews from travelers in Frankfurt. Which neighborhood is the best one to stay at in Frankfurt? Bergen Enkheim, Frankfurt City Center (Old Town), and Gallusviertel are popular with other travelers visiting Frankfurt. Which hotels in Frankfurt are good for couples? These hotels in Frankfurt are highly rated by couples: Prime 20 Serviced Apartments, niu Charly, and Jumeirah Frankfurt. Which hotels in Frankfurt are good for families? Many families visiting Frankfurt loved staying at Prime 20 Serviced Apartments, niu Charly, and Jumeirah Frankfurt. Located near central Germany, Frankfurt is not simply the beating heart of the country, it’s also the lifeblood of the European Union. The German Federal Bank and the European Central Bank are based here, so naturally this is a city where commerce thrives. 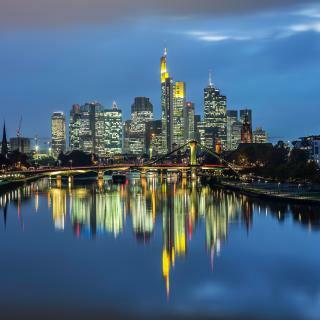 In fact, the skyline is so punctuated by skyscrapers that Frankfurt is affectionately known as Mainhattan, a pun on the Main River that slowly meanders through the city. Lining its banks is Museumsufer, a district with over 20 museums including Goethe’s birthplace and the Frankfurt Historical Museum. The tower of the Gothic-style Frankfurt Cathedral, which played an important role in the Holy Roman Empire, has impressive views of it all. In the shadow of the modernist architecture remain traces of quintessential Germany. The reconstructed half-timbered facades in Römer square are picture perfect, and the cobbled streets of Fressgass are always full of locals deciding which café to dine at. Served by Frankfurt Airport - one of the world’s busiest - this pumping city is always on the move. This means that hotels in Frankfurt get booked up pretty quickly, so book early with Booking.com to secure the accommodations of your choice. Frankfurt is a great city of business, art and culture! Frankfurt is a great city of business, art and culture! It is city where people from all walks of life and culture converge! It is safe and clean! great for sightseeing with all its modern and medieval architecture! I love the street food resto! A great city to walk, then have a coffee or "applewoi" (Frankfurt's version of cider) in between visiting museums. Stroll along the Main river. Public transport helps to get around. Visit theaters or the opera. Or the bars & clubs in Sachsenhausen. Not to forget the excellent local food. I just enjoy and love this city, whenever you plan to go i suggest that you find a hotel at the center of the city. nice people, lovely wide streets, great for families. good place for shopping. prices are reasonable, streets are clean. For food I always recommend Central park corner restaurant ( healthy and clean ) you must try their Flammchhen ( i do not know the exact spelling but i looks like a pizza ( I call it the Germans Pizza ). Frankfurt's old section was lovely. Frankfurt's old section was lovely. Just don't stay in a downtown hotel, you might not be able to check in if you arrive on Saturday. Other days of the week might be better to check into a downtown hotel. It is a beautiful place to visit, there are a lot of places that I would liked to visit, but there was not enough time to do, but I would like to go back again someday. I loved the botanical garden, Palmengarten, where I could see a lot of kinds of plants, unfortunately, there were a lot of spots in repairs, still everything was beautiful. The hotel was very close to the main central station, and really not far to the city center by walking. It was also accessible 24hours with your room card, thus, you do not need a receptionist to get into your room if you arrive to the hotel late night. Early check-in was not possible but I was able to leave my belongings when I arrived to the hotel. My room was clean during my stay, facilities were adequate, the staff were overall helpful. 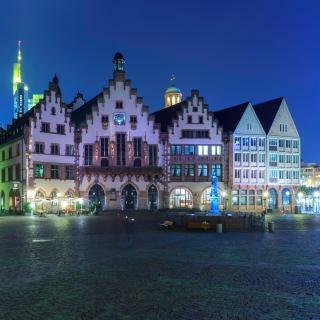 Definitely worth staying for solo travelers and couples wishing to discover Frankfurt for few days. The hotel is located in a business centre called the Squaire which has nice eating joints and shops ......it’s right above the train station and next to the Frankfurt airport.... reaching the city centre is convenient and also it just took us 10minutes to walk down to terminal 1 from the hotel when we had to fly out.....the hotel facilities are excellent... our room had a wonderful view of the forest on one side..... the staff was very friendly and helpful .... beds were very comfortable.... the hotel deserves a 10/10.. It was a pleasant surprise. Staff were very helpful, the hotel was very clean and comfortable. We asked for an upgrade and late check out as we were flying home to Australia. Staff were very pleasant and accomodating. We loved Frankfurt it is a very classy city. Loved the outdoor eating near the opera and the old town. We could walk from the station so that is a bonus. Would definitely stay here again. Loved it. The stay was great. Very nice room. Clean. Air conditioning was in when I arrived and the room was very comfortable. Everything was very clean. Easy check-in and check-out. The bus that shuttles to the airport runs automatically every half hour or so, which means you don’t have to call the hotel. And you can’t miss the big bus which is clearly marked. This will be my note of choice when landing in Frankfurt. Good position, near the tram stop line 11 to reach the city center. A new 5 floors building with many common spaces for the travellers. The 6-bed dormitory was properly clean and modernly furnished. The staff was young but well trained and organized. We met there friendly people to spend our Frankfurt trip with them. I recommend this hostel/hotel both for long and short journeys. The hotel is with very good location for one night transit near airport, the room is clean & comfortable, staff are so kind & hospitality was great with offer on shuttle bus in my way back to airport & one drink from restaurant Finally I loved the receptionist, he was so kind & caring & provide advice & help whenever u are in need. Proximity to Frankfurt Airport. Good price and secure facility. Very clean hotel, great breakfast buffet and when you traveling you like to check in relax, get something to eat/drink this it the place for you!! It was convenient to the airport and the rental car return the room was a typical hotel room. It was clean and quiet despite being across from the airport. 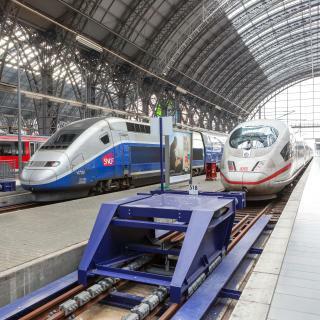 It was also convenient to all the trains to FRANKFURT. Very comfortable beds and in a good location. 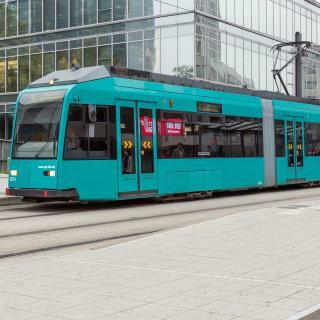 Hotel is very close to the buses and the train station so you can get to the city and various areas of Frankfurt/Germany very easy. Location is perfect next to the plaza where you can find all kinds of restaurants and can buy groceries. Close to Frankfurt Airport. Free street parking behind the hotel. It’s near airport , Good place to stay if you don’t need to stay in city center . new property so everything was nice . For a hostel, this place was very clean and the staff was very helpful. During evening hours, people can hang out in the reception area, where Wi-Fi was only available, which allows people to network with each other. Free breakfast and pasta for dinner was also included. For the price I paid, it was definitely worth it. If I would go to Frankfurt again, I would probably stay here again. Plus, the train station is literally a 2 minute walk away, with the shopping attractions just 15 minutes walking distance. Amazing property and fabulous staff, everyone from the front desk to the servers to the concierge were professional and helpful. Will DEFINITELY stay here again! Big rooms, overall clean hotel. Mini bar with beer, water and juice. Excellent full continental breakfast all included in the price. We liked the proximity to the train station and the small street market we passed on the way to the hotel..